I’m not going to lie, one of my favorite things about the Holiday season is the return of Holiday drinks at Starbucks and Caribou. 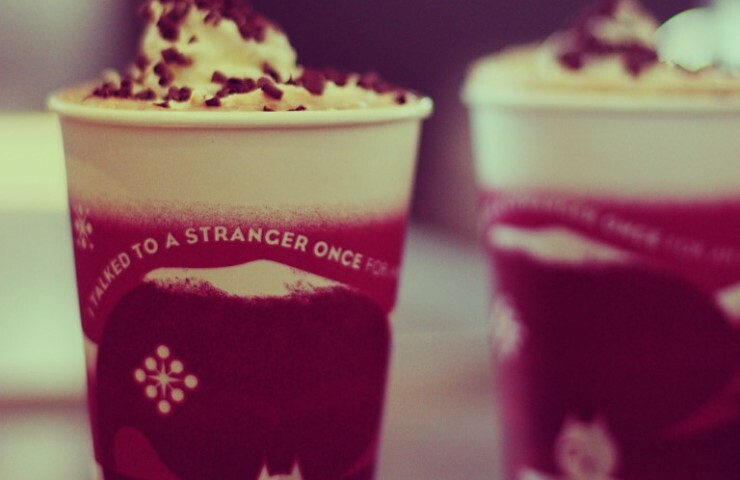 There’s just something about the festive cups and that first sip of “Christmas in a cup” that gets me in the Holiday spirit. My favorite drink is the Ho Ho Mint Mocha at Caribou. I prefer them over Starbucks for two reasons. First, I like that Caribou uses real mini chocolate chips (at least they did when I used to work there). Second, I prefer the mint syrup at Caribou to the peppermint at Starbucks. While I could drink one of these every day, let’s face it, they are loaded with sugar and really aren’t very good for you. I avoid the daily Caribou run and save it for a special occasion or a little treat every once in a while. I, instead, make coffee at home and bring it in a mug to work each day. I’m not a black coffee drinker; I like creamer for a little added flavor, and surprise surprise, one of my favorites is Coffee-mate peppermint mocha. The one thing I’m not wild about: the list of crazy ingredients that I’ve never heard of and can’t pronounce. I experimented with making my own coffee creamer awhile back and have enjoyed homemade caramel and vanilla creamers, so I thought why not try making peppermint mocha? Now I should give you a heads up before we go any further. 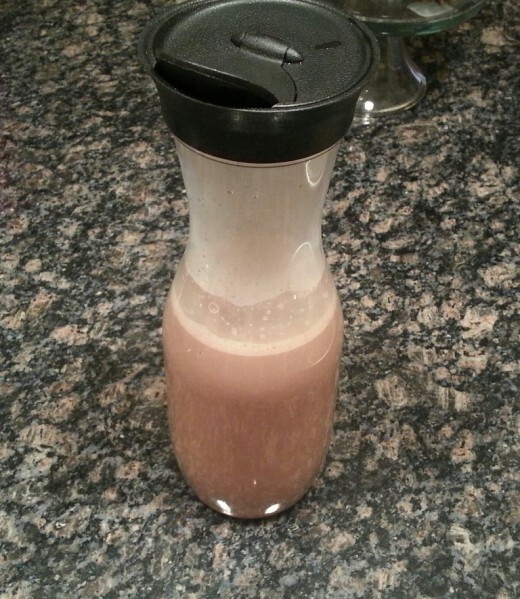 The first time I tried homemade coffee creamer, I was surprised because I was expecting it to taste very similar to what I buy at the store, but it doesn’t. The chocolate and peppermint flavors in this recipe are pronounced and provide a very smooth and creamy complement to coffee. However, this creamer is not nearly as sweet as the store-bought kind. I add maple syrup and honey to add sweetness, but if you prefer it to be even sweeter, just add more than what my recipe calls for. 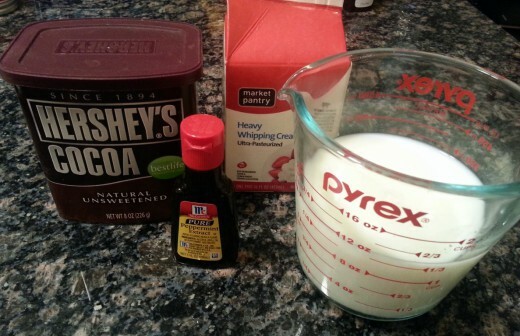 Coffee creamer is very easy to make. The base consists of heavy cream, milk, maple syrup and honey. For this recipe, you’ll also add cocoa powder and peppermint extract. 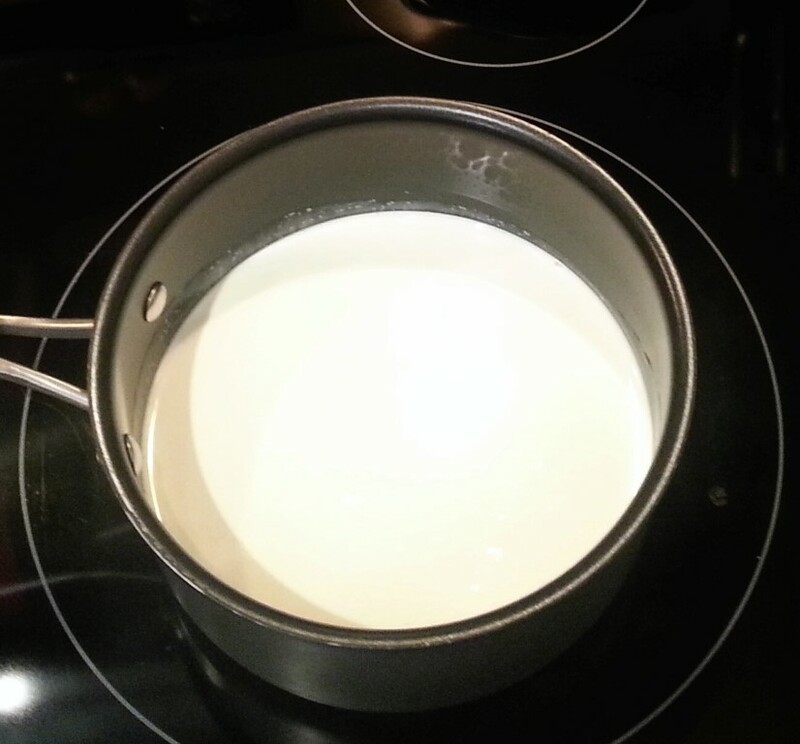 In a small saucepan over medium heat, combine 1 1/2 cups of heavy cream, 1 1/2 cups of milk, 1 tsp of peppermint extract, 3 tablespoons of maple syrup, and 1 teaspoon of honey. 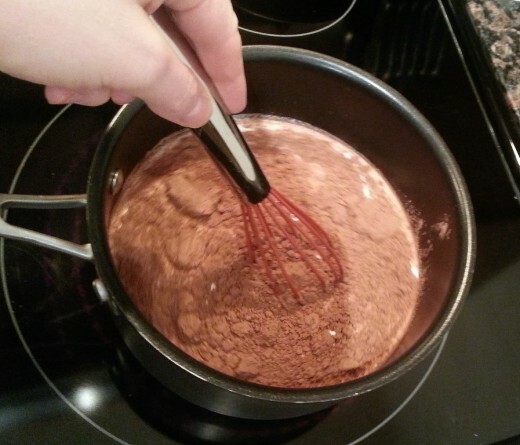 Slowly add in 4 tablespoons of cocoa powder and whisk continuously until completely dissolved. This will take a little time, but will get easier as the mixture begins to heat. 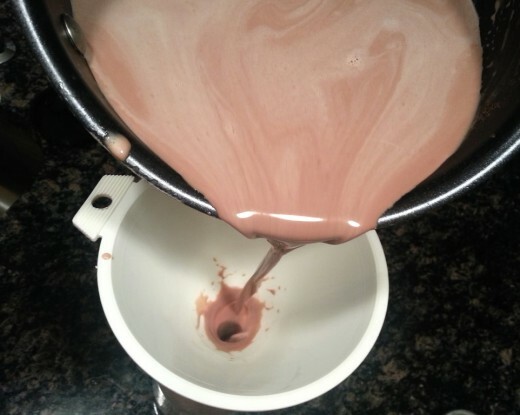 Once the cocoa powder is dissolved, heat just until the mixture produces steam. Remove from the heat and transfer, using a funnel, to a bottle for storing. Before pouring into your coffee, make sure to give the bottle a quick shake or two; the chocolate tends to settle a little. This creamer can be made in advance and stored in the fridge for 1-2 weeks and makes about 3 cups. 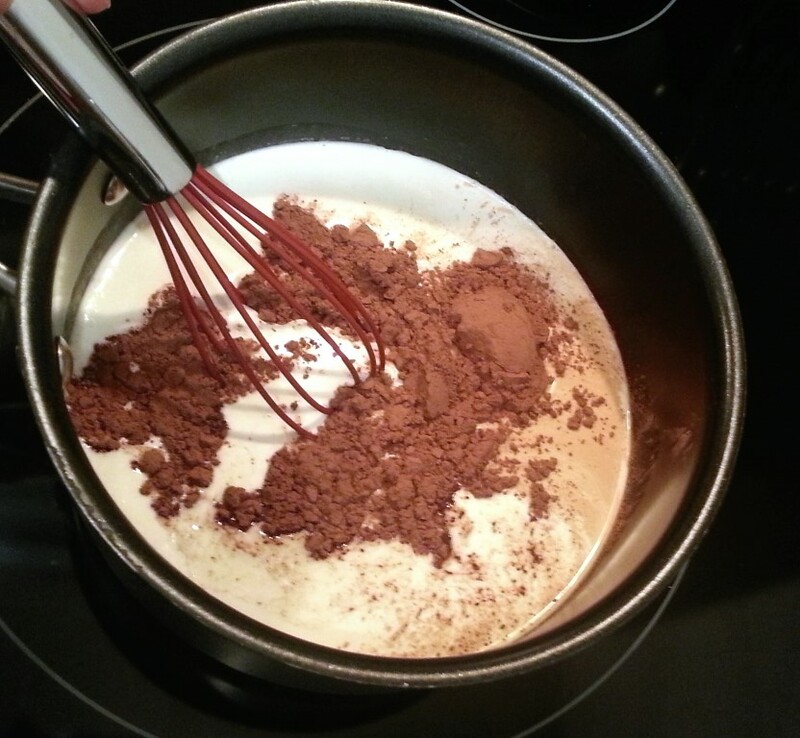 Combine cream, milk, peppermint extract, maple syrup and honey in a small saucepan over medium heat. Add in cocoa powder and whisk until dissolved. Once the cream mixture begins to steam, remove from heat. Transfer to a bottle using a funnel and refrigerate between uses. Can be store in the refrigerator for 1 to 2 weeks. Recipe adapted from Deliciously Organic.